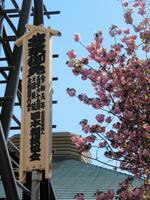 The pre-advance ticket lottery application period for Natsu has started. 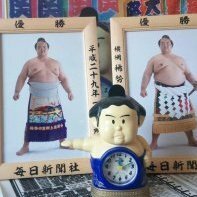 I know that Takayasu is hairy, but he looks like a gorilla in this picture. 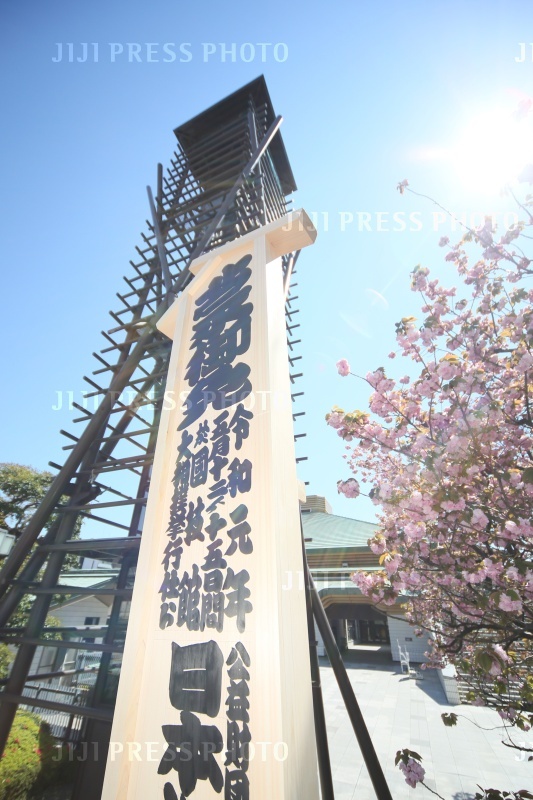 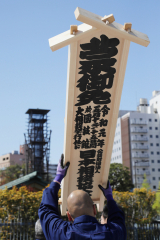 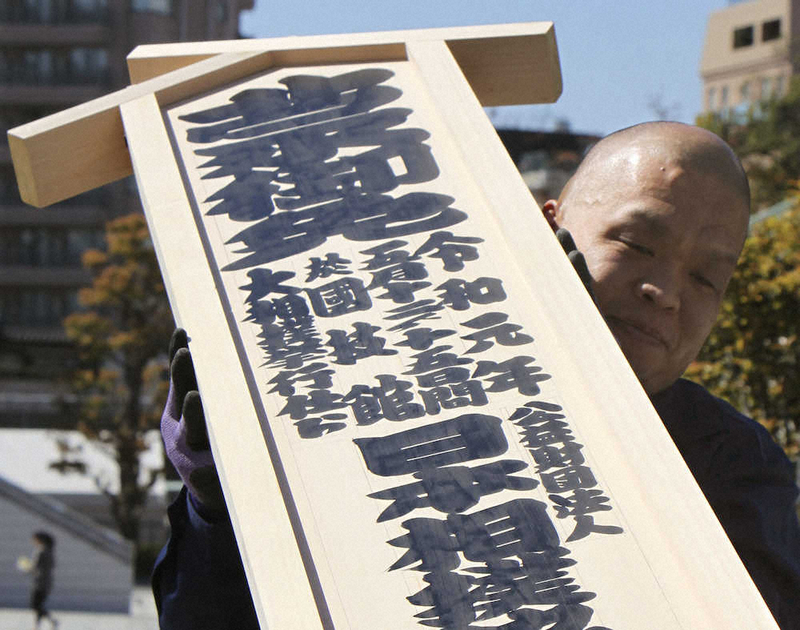 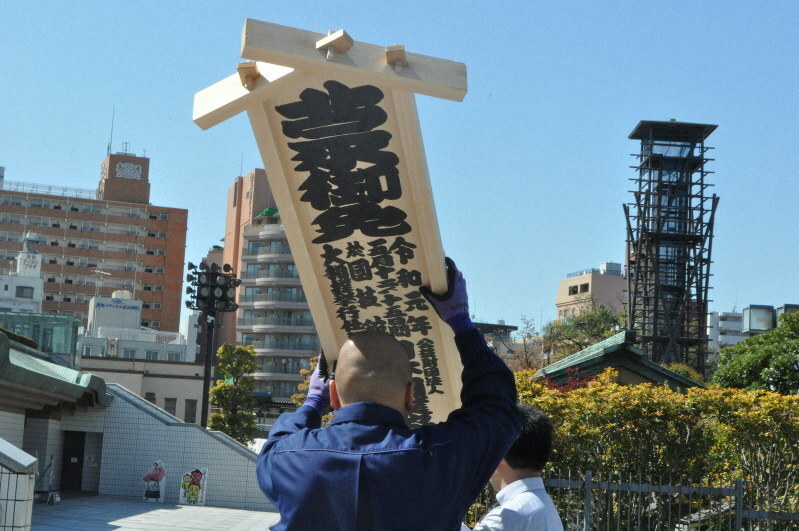 A traditional wooden announcement sign for the May Grand Sumo Tournament showing the new Reiwa era dates was set up outside the venue here on April 16. 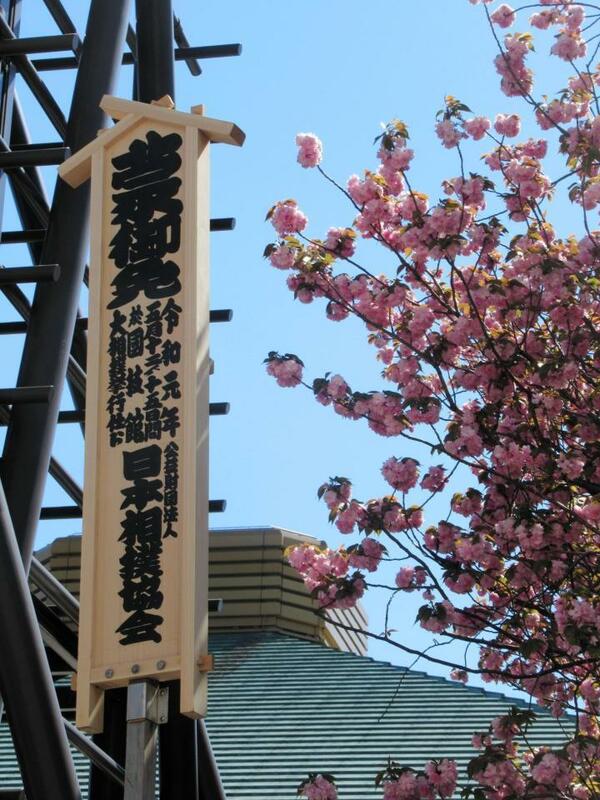 The May competition is one of three grand tournaments held in central Tokyo annually at the Kokugikan sumo hall in Ryogoku, Sumida Ward. 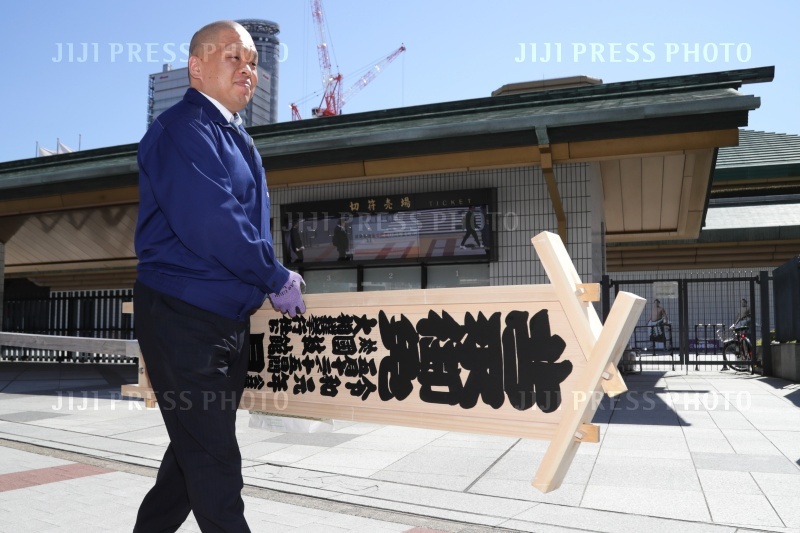 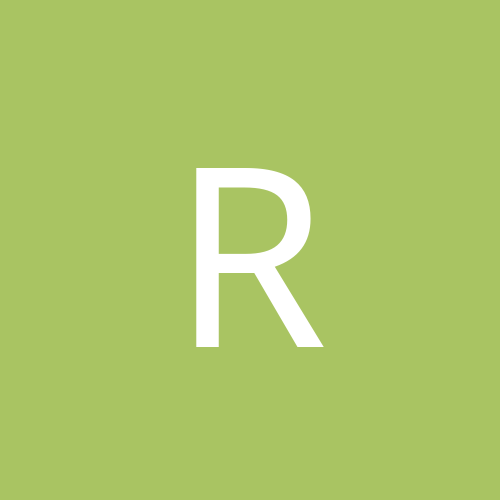 When the tourney begins on May 12 it will be the first major sumo tournament of the Reiwa era that is set to commence May 1. 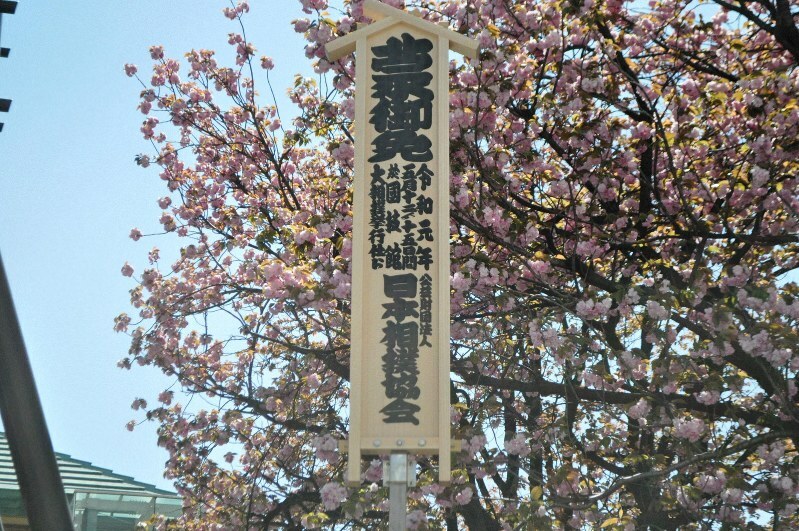 Passersby were seen stopping to look at the contest dates on the sign, which are listed under the first year of Reiwa. 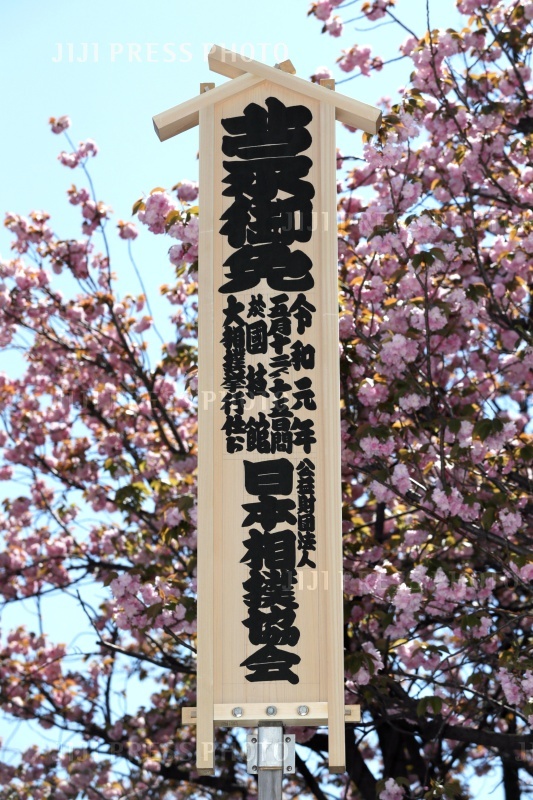 The use of announcement signs for sumo tournaments dates to the Edo period (1603-1868), when they were used at Kanjin sumo events. 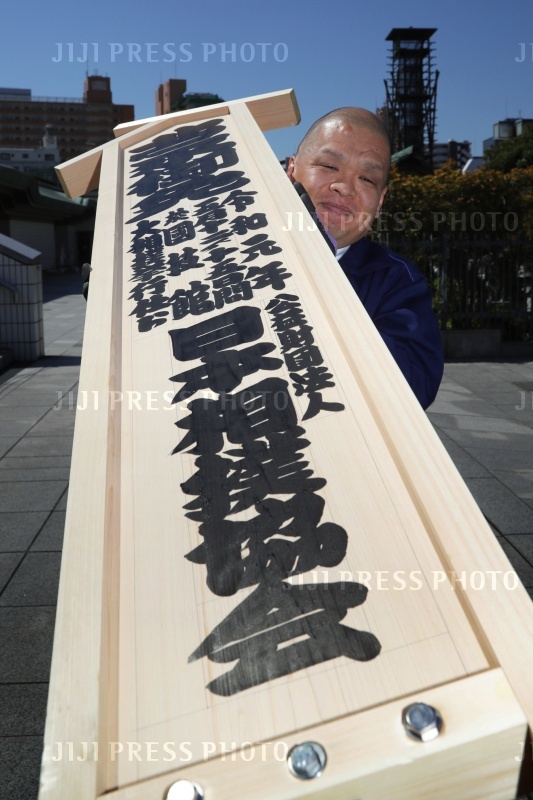 Kanjin sumo, considered to be the origin of modern sumo, was held on the grounds of temples and shrines to raise money for repairs and renovations. 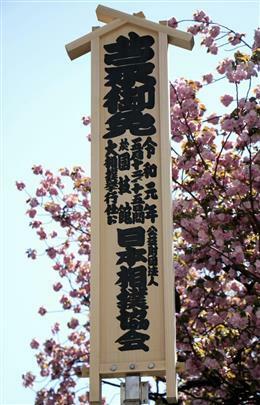 The signs were employed then to prove that a location had received permission to host a contest from a commissioner of temples and shrines. 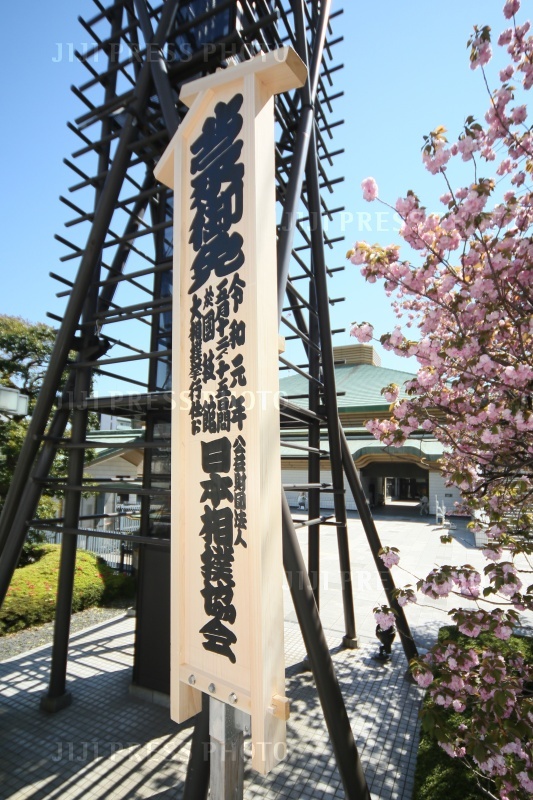 The wooden sign stands at about 5 meters tall. 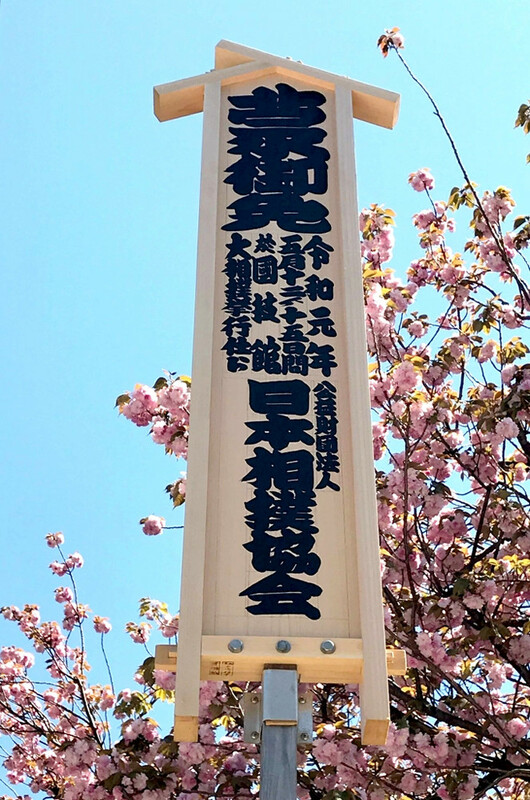 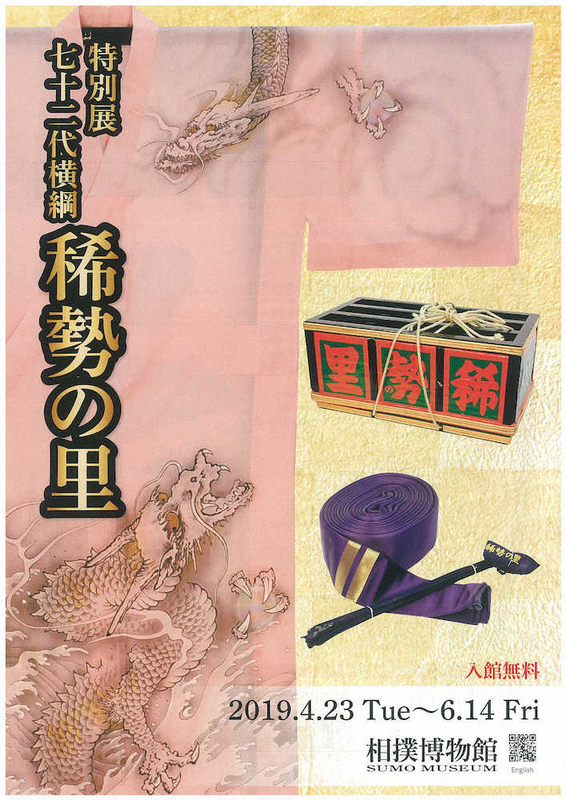 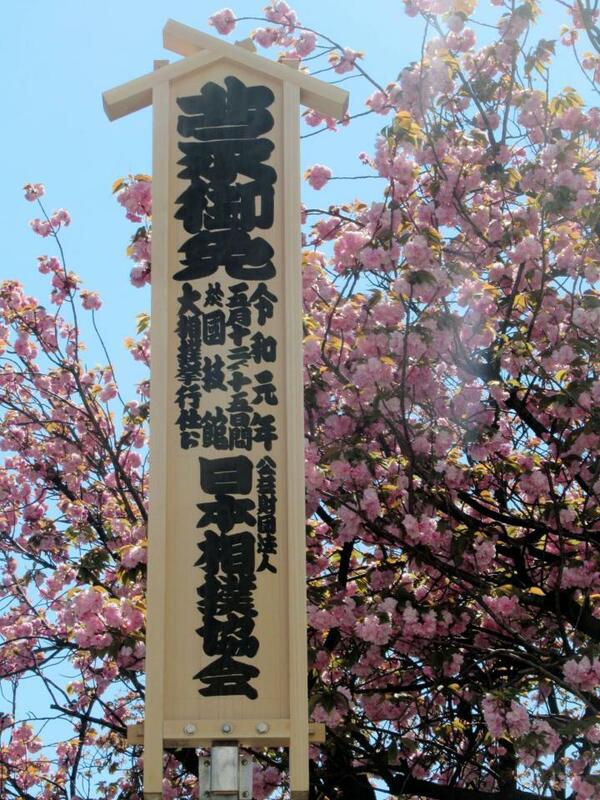 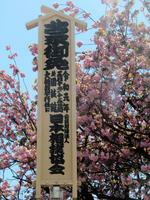 The characters on the top part of it read "gomenkomuru," which is the traditional permission to compete. 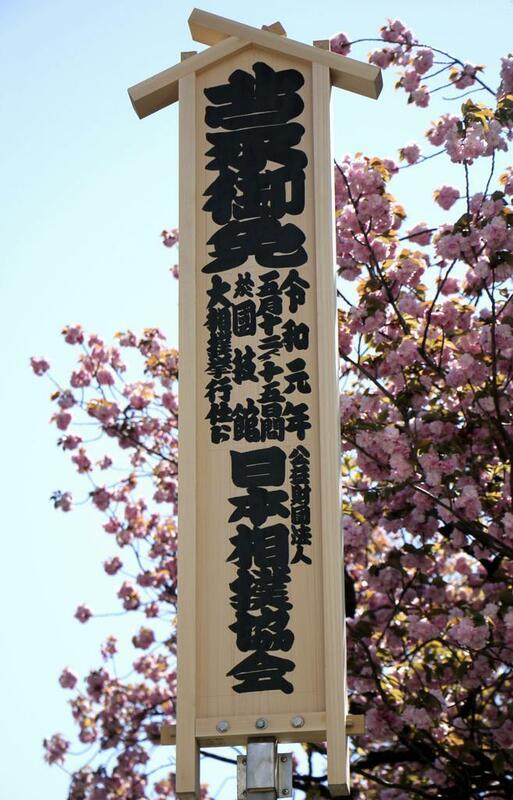 Underneath it are the tournament location and times. 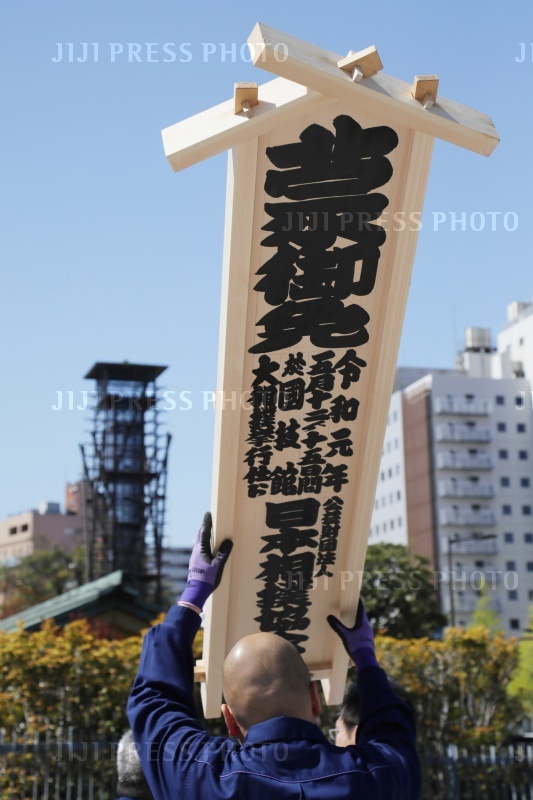 A passerby from Chofu, Tokyo, said it made the end of the current Heisei era sink in. 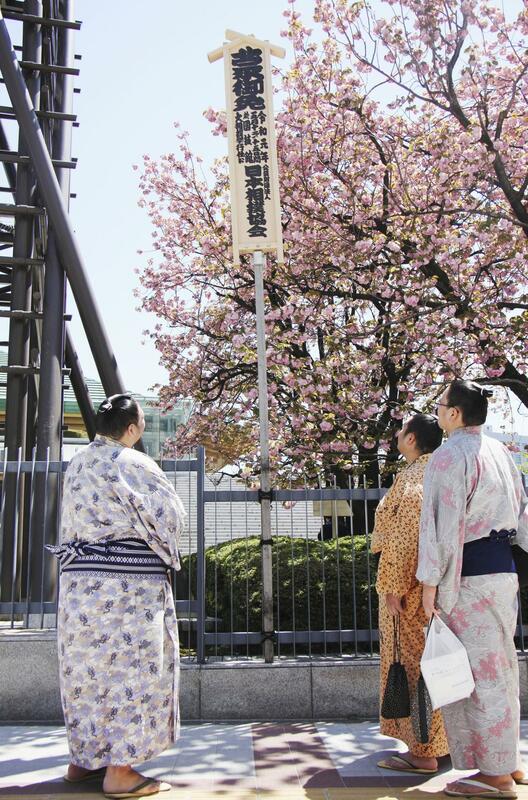 "When I saw the sign, I really felt that the new era is coming," she said. 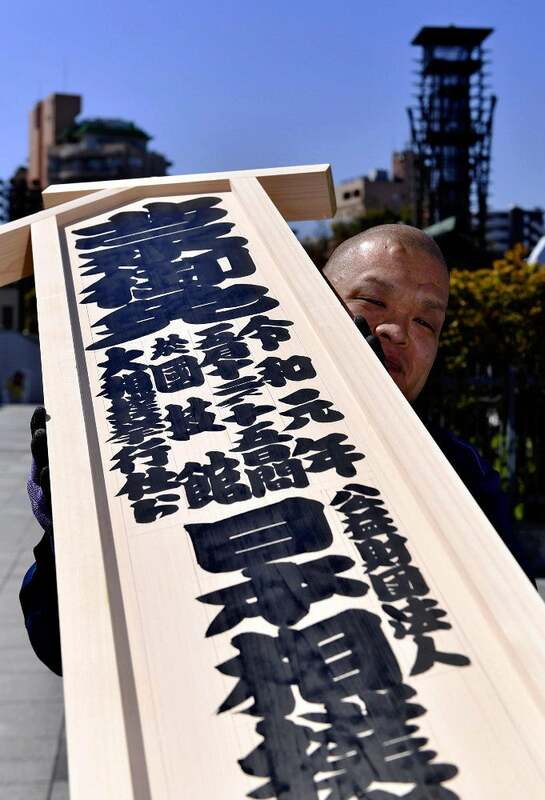 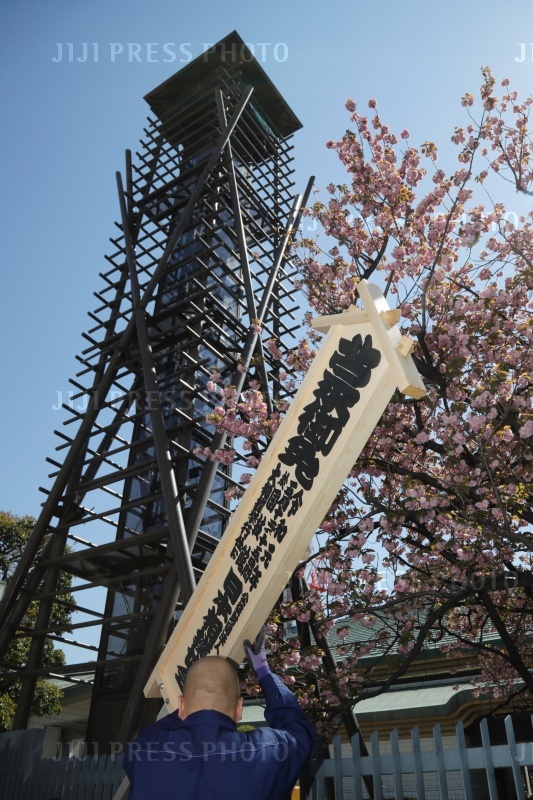 The Reiwa era will be welcomed in at the Kokugikan on May 1st, when all 70 sekitori will assemble outside for hitomoji (human characters), forming the kanji of the new era so that some cool pictures can be taken from above.